There is a craze underfoot. Crack open any shelter magazine or visit nearly any decorating blog and you will be overwhelmed with images of stylish rooms that are anchored by a singular shared object: the Moroccan rug. So what is it that makes these floor coverings suddenly seem as ubiquitous as sisal? To be clear, the Moroccan rug designs of which I speak are from the Beni Ourain people, who comprise 17 Berber tribes from the Atlas Mountains. The rugs they produce have distinctive designs, which range from ordered geometric shapes to more free-form, expressive patterns. They almost always are in a neutral palette (usually they have an ivory background with brown or black geometric lines), and they have a shaggy pile. Designers and tastemakers have had a love fest with these rugs. In Paris in the 1920s and 1930s, designers used Moroccan rugs for their inherent sense of modernity and ethnographic qualities. A couple of decades later, mid-century modernists, such as Le Corbusier and Charles and Ray Eames, were known to use the same fluffy piled rugs as a counterpoint to their sleekly designed furniture. In 1972, Billy Baldwin chose a room with a diamond-patterned Beni Ourain rug for the cover of his book “Billy Baldwin Decorates,” which illustrates his masterful ability to bridge style and comfort. Rug companies caught on. Although vintage pieces are still available on the market, they are often too long and narrow for many spaces. New, larger sizes (both standard and custom) are now available from many rug producers and their dealer networks. Ironically, few new Beni Ourain style rugs are made in Morocco. Morocco is still largely tribal, making production hard to control, so companies have found weavers in other countries. Before buying either a hand woven or machine made rug, consideration should be given to what is expected from the rug. Do you expect the rug to last many years? Are you looking for an investment ? Would you prefer a new rug or an antique? Are you interested in natural materials or are synthetics acceptable? Machine made rugs are manufactured on computer-controlled power looms and can be produced much faster than a hand woven rug, and so should be much cheaper. The highest quality rugs are generally made of wool. It is unlikely that machine made rugs would be made of the best quality wool, but the wool if used should be an acceptable quality. To check, rub fibers to see if they feel resilient or dry, which would indicate very poor quality wool. 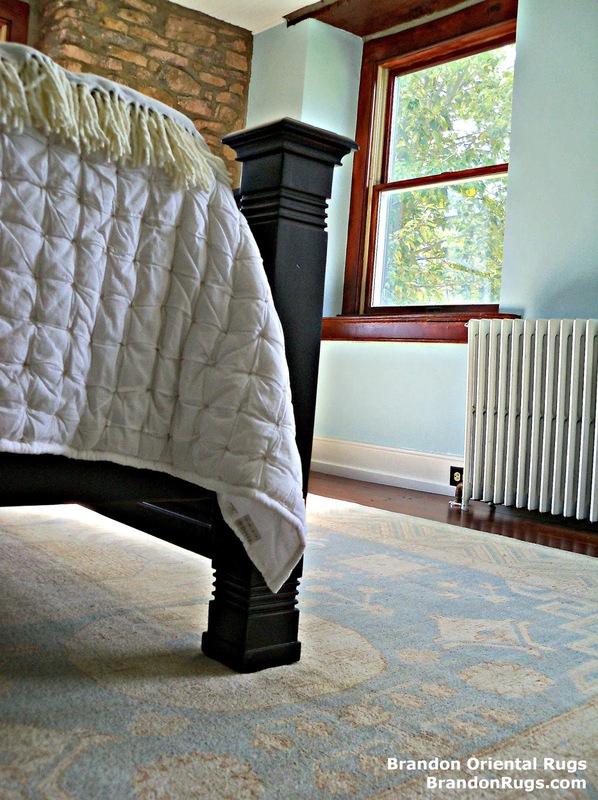 These rugs are often made from synthetic fibers. If you see ‘art silk’ on the label, that does not indicate good quality or real silk, but ‘artificial silk’. Manufacturers may save money be cutting back on design elements and the number of colors. Fringe will be sewn on, and not be an integral part of the rug as in real handmade rugs. Many machine made rugs are attractive rugs, but they cannot be considered works of art or collector pieces. These fall into a category between machine made and hand woven. Hand tufted rugs are produced by a person pushing yarn into a cotton backing using a modified hand drill. After the rug is completed, the back is covered with latex rubber to hold the tufts in place. Then a canvas backing is applied to cover the latex rubber to protect against direct contact with your flooring which can be damaged by outgassing and decomposition of the rubber over time..
A hand tufted rug usually has the loops of yarn cut into a pile while a hand hooked rug has uncut loops. A sculptured, multi-textured effect may be created by cutting some loops and leaving others uncut. Because these rugs can be made very quickly, they offer a handmade look at an affordable price, but they are not durable like handmade rugs; and will never be collectible or an investment. Hand woven rugs run the gamut from a simple area rug woven by a nomad woman to a museum-quality masterpiece. The rugs can be new or antique, wool or silk. Dyes might be natural or synthetic. The rug might have a pile or be flat weave. Designs can be either traditional or contemporary. As with anything, quality varies. A good quality hand woven rug can last for generations and is considered a work of art. An antique hand woven rug is a treasure. There is a patina that cannot be duplicated by a modern rug. It is also helpful to find a rug store where you can browse and decide what type of rug appeals to you; where you can talk with an experienced professional willing to show you how one rug is better than another for your purposes. Knot count (how many knots in a square inch) is often mentioned, but is just one of many indices of quality. The quality of the materials and a host of other factors are also important. Putting a little thought into finding the right rug will lead to a making a more satisfactory choice. The right rug can be a focal point of your home and will help to showcase other decorative treasures you possess or hope to acquire. To kick-off the holiday shopping season, one of Brandon Oriental Rug's suppliers has offered to sponsor Special Savings on select rugs and collections. 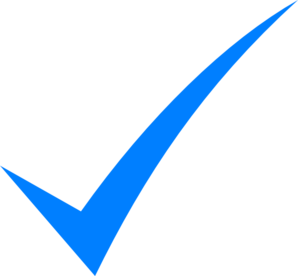 Thru November 30, 2013 (and also including Black Friday, Cyber-Monday and Small Business Saturday) all rugs in Brandon's inventory marked with a blue checkmark are 20% OFF the regular tag price. Everyone knows that Brandon's everyday tag prices are quality based; with the assurance that the price is the best possible for that type of rug in that size. It doesn't take a perpetual sale to make and keep that promise. So this limited offer IS an unusual opportunity for REAL extra savings on REAL hand-knotted oriental rugs. There are over forty pieces 8x10 and larger included in this importer's promotion. If you are looking for something special give us a call in advance to see if what you want is included in the sale. These rugs must be previewed by Nov. 30, with purchase by Dec. 15, to qualify for the 20% savings. Brandon's complimentary services -- including free local delivery and rug pad with purchase -- are included in this Holiday Kick-Off Sale. We wish everyone in the metro- Philadelphia, Lehigh Valley, and Central and South Jersey areas a very happy holiday season. Our customers, who live in Solebury Township, asked us to help them find a special rug to complete a bedroom in their farmhouse which they are redecorating. 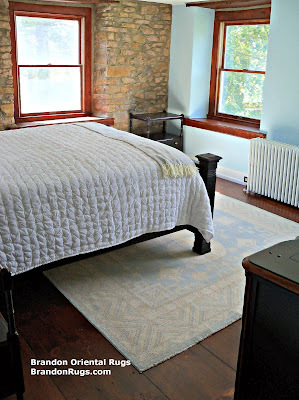 The room was small with dark floors; a dark-stained, wooden bedstead with arctic white linens and bedspread; and pale blue painted walls along with a stonework wall associated with a small corner fireplace. The homeowners were specific about the rug they felt would satisfy their goals: "a very muted design (not a lot of pattern) with the crisp white of the bedclothes and some blue to coordinate with the walls". Recently new rug finishing techniques have been introduced which impart to new rugs the desired characteristics of older rugs. One of these techniques is called "silver washing", which alters the creamy, or pale yellow color of natural ivory wool to a much brighter silvery white. Rug makers/importers are applying this technique to traditionally simple rug styles (Oushak, Khotan, Morroccan). We showed several choices with both "silver wash" and standard wash finishes to our customers. The rug selected was a silver washed, antique reproduction Khotan design rug hand-knotted in Pakistan. Because of the size constraints of the room, their desire to keep the rug light and unobtrusive was a great idea, and as you can see, helped to visually expand the space. The rug shown here was selected to complete a family room in a Bethlehem, PA home, which had been completely furnished (except for the rug) by the homeowners with help from their designer at Hendrixson's Fine Furnishings (Furlong, PA and Shimersville,PA). 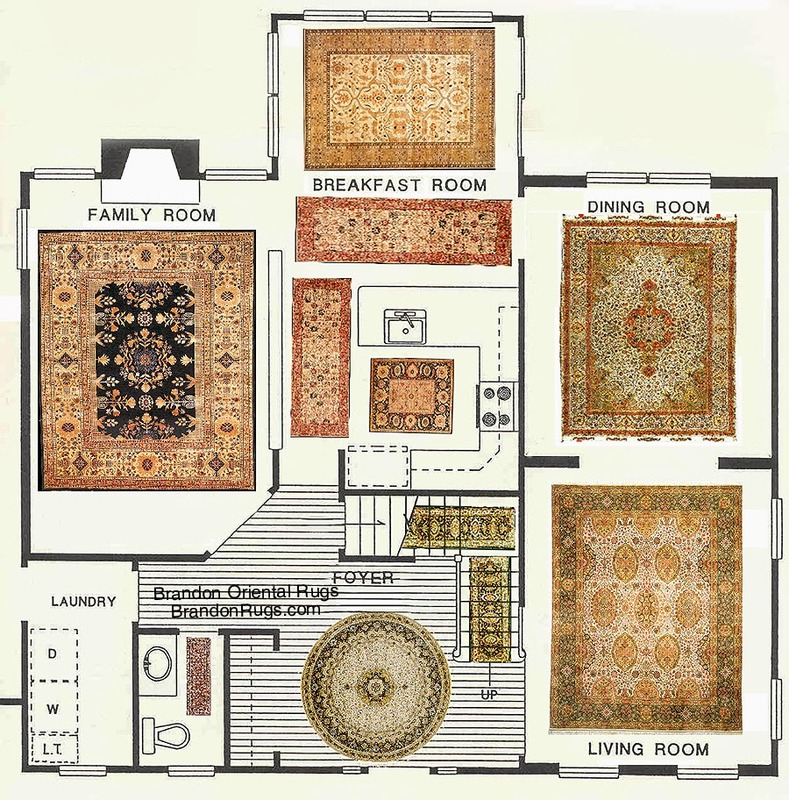 The panel field design -- almost patchwork or quilt-like in conception -- imparted less formality to the rug, making it a relaxed fit with the fine leather furnishings. The finely knotted detail in the rug (approximately 210 hand-tied knots/square inch), and it's authentic antique reproduction finishing, appealed to the refined tastes of the homeowners seeking to make quality decisions at every step in the furnishing of their new home. 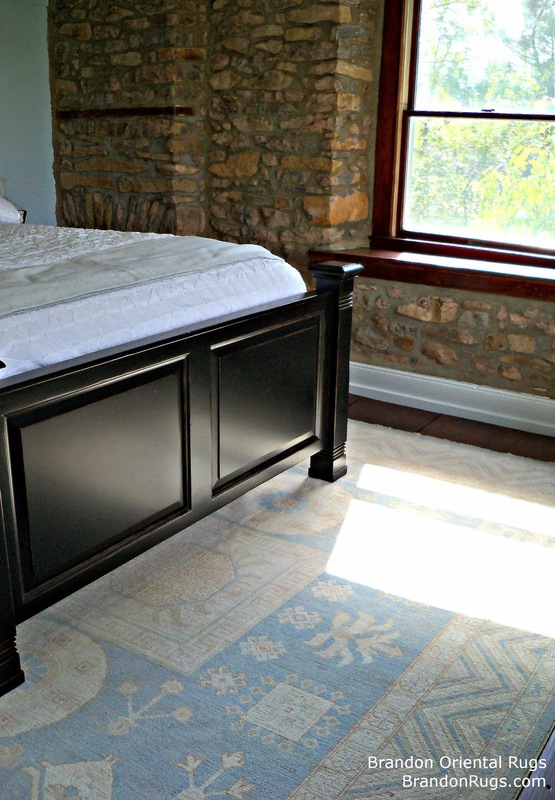 [ This rug was selected by the homeowners after a process which began when they were referred to us by their designer. We subsequently visited their home to get an idea of what they had accomplished already, and what they were seeking to do with the introduction of a rug. Based on that visit and a discussion of their objectives, we collected a number of rugs from our many sources and made them available for preview at our store. Our customers then visited our store, and chose several rugs they really liked from the selections we had made on their behalf. We then delivered them to their home for them to evaluate for appropriateness in conjunction with what was already in place in their room. 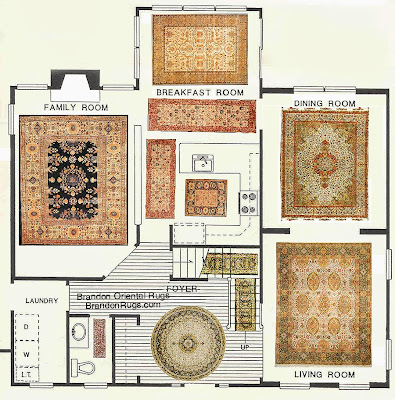 From those choices, the rug you see above was decided upon, and has become a treasured part of their home. A few days later, while engaged in testing our website, we noticed an advertisement (apparently seen everywhere for any search involving the term "rug") for ESALERUGS, which claims to be "America's #1 Rug Store". This piqued our curiosity. Because we pledge "the BEST value" to our customers "for any REAL handmade rug", we were curious to know if our pledge could stand up to the "beat any price" policy of Internet Rug Dealers and Outlets. An exhaustive search and review of the ESALERUGS site turned up just one rug of similar type and size (Persian Zanjan, nominal 6x9) to the rug our customer had already purchased. The price listed on the description page (as of 11/3/2013) was $5,587. There was an immediate promise of 50% OFF the price if you placed the rug in the shopping cart (i.e. $2,793). Going to the cart also merited offer of a free pad (and extra savings of 10% if other rugs were purchased at the same time). 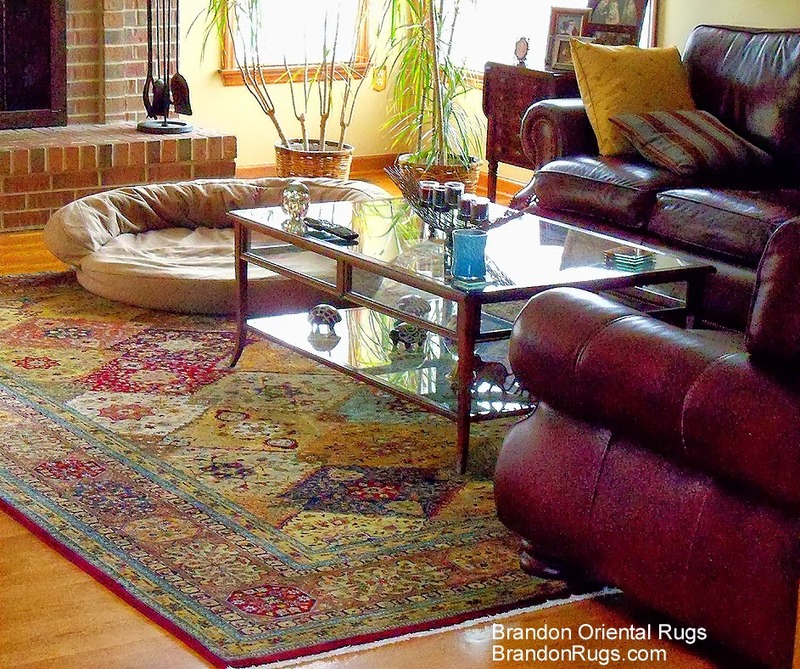 Putting aside the esthetic merits of the two rugs above (which we think favor the rug from Brandon Rugs based on color and detail), Brandon saved our customer $718 versus what he would have paid for a similar rug online. 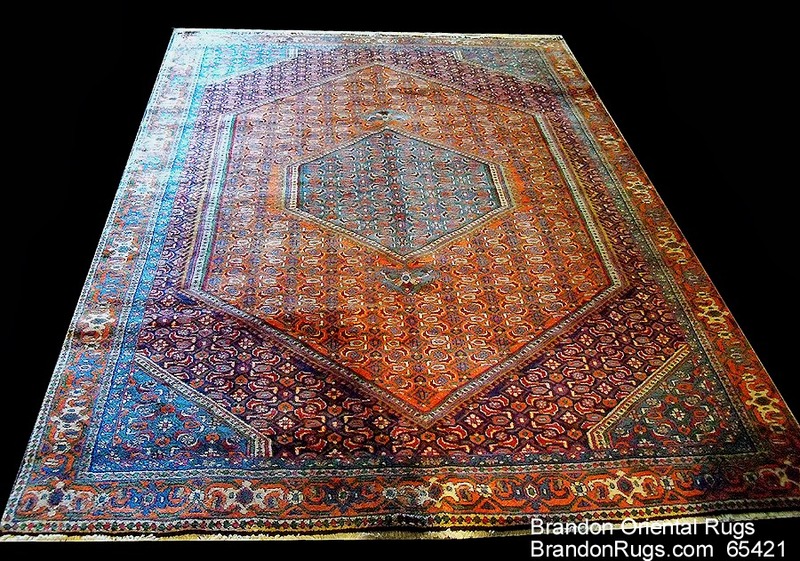 To repeat: Brandon's everyday QUALITY based price was over 25% better than the 50% OFF "SALE" price from "America's #1 Rug Store", ESALERUGS (the name on the top, bottom or sidebar of any internet search page with the term "rug"). To conclude, our pledge to our customers of "best value" was vindicated in this case. We think it is instructive too for rug shoppers everywhere. Internet stores offer very good deals for mass produced items. (Machine made rugs, and "hand tufted rugs" might possibly fall into that category.) Certainly, REAL hand-knotted rugs are NOT like that. The testimonies collectively that we've received from several customers who have tried the webstore option is that you will be better served (and will save a lot of time, effort, aggravation and money) by accessing a local rug dealer who will honestly work to help you find what you want while honoring the budget you establish. Think about it. The people helping you in your local rug store know they will be facing you over and over again in the places you live, work and play. They jealously guard their reputations so that they can forever look you in the eye and engage you cordially. That's a level of protection of your trust that no machine can be programmed to emulate.